Question: can we chip off pieces we like and leave the rest? Purists and true believers will always say NO. The question arises because I recently began to re-re-read Robertson Davies’ Deptford Trilogy (Fifth Business, The Manticore, World of Wonders), last visited maybe 20 years ago. Besides being a cracking good yarn and highly literate in a Canadian/British mode, it involves an extended meditation on entangled lives, on interwoven Stories, and on friendship. The second volume, The Manticore, was the source of pretty much everything I know of Jung. And now, in the context of thinking about life, and legacy, and Stories, it seems worthwhile to revisit one of the influential syntheses of the internal worlds. 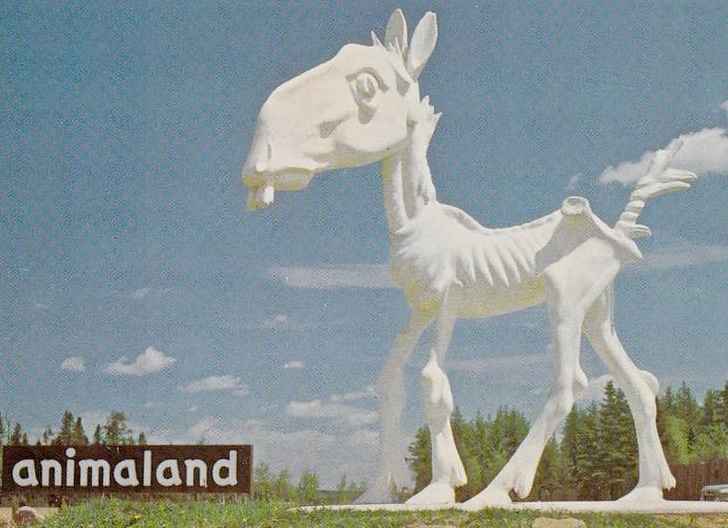 Interlude: On our many passages between Nova Scotia and New England we would pass by a bizarre theme park/sculpture garden in deepest New Brunswick, called Animaland, the entrance to which was graced by a skeletal statue of a horse. Jungian analysis (AKA ‘analytic psychology’) proceeds from a foundation in anamnesis, an exercise by the analysand in extended autobiography (‘subjective confession’) aimed at confronting neurosis (seen as a “state of disunity with oneself”) and an attempt at self-cure of “mild dissociation of personality”. This seems not irrelevant to some of what the Convivium is exploring. It’s not that I wish to immerse myself in Jungian bathos, but some of the terminology and background ideas may be provocative, evocative, useful to myself and others, so it’s useful to try to set out the framework, and to pick and choose elements that seem resonant. …we are attempting to recapture some forgotten things and arousing almost forgotten feelings in the hope that we may throw new light on them, but even more new light on the present. Remember what I have said so many times; this is not simply rummaging in the trash-heap of the past for its own sake. It is your present situation and your future that concern us. All of what we are; talking about is gone and unchangeable; if it had no importance we could dismiss it. But it has importance, if we are to heal the present and ensure the future. 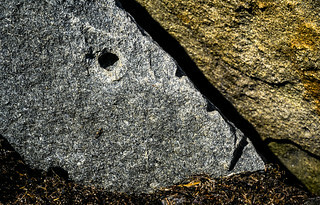 Powerful notions in the Jungian cosmology include the collective unconscious, broadly conceived as applicable to all Mankind, and coming from “somewhere beyond”, a “dynamic psychic substratum” encoded in myths “common to all humanity, on the basis of which each individual builds his or her private experience of life”—a grand and contentious notion [how transmitted? how across cultural/linguistic boundaries? from what origins? what are the Universals?]. Archetypes (“identical psychic structures common to all”) are another realm generally associated with Jung. Individuation: to “realize one’s own potential, follow one’s own perception of the truth, and to become a whole person in one’s own right”, “to work with and confront the unconscious” as a lifelong process. This entry was posted in lexicon, reading on February 12, 2019 by oook.